America’s attention has been squarely focused on the inhumane and exceedingly cruel “zero tolerance” immigration policy from President Trump and his administration. Earlier today, President Trump signed an executive order into law to end the practice of separating families, but we still don't know what the actual implications of the executive order will be. "President Trump’s executive action today addressing his own abusive policy of separating families at the border doesn’t end this humanitarian crisis. By doubling down on his immoral ‘zero tolerance’ policies, today’s action makes the situation worse. Putting families seeking a better life in cages is never the answer. What does it say about our values as a nation when our government imposes cruel, punitive measures on children?" “….the federal government transferred 123 immigrants from detentions near the U.S.- Mexico Border to the federal prison in Sheridan, Oregon, part of an unprecedented contract with the federal Bureau of Prisons to hold 1,600 immigrants nationwide for ICE. Among the detainees being threatened with deportation are fathers who were forcibly separated from their children by ICE as they arrived fleeing violence in their home countries." “The crowd, from toddlers to senior citizens, gathered in a park immediately outside the fence at Sheridan Federal Correctional Institution to sing and pray. Guards and inmates watched from the other side as protesters waived signs, including "Keep families together," "Make America compassionate again," and "Children are innocent." Volunteer: A variety of volunteers are needed to support the legal response effort including legal and mental health professionals and interpreters for multiple languages. Fill out this survey if you would like to volunteer. 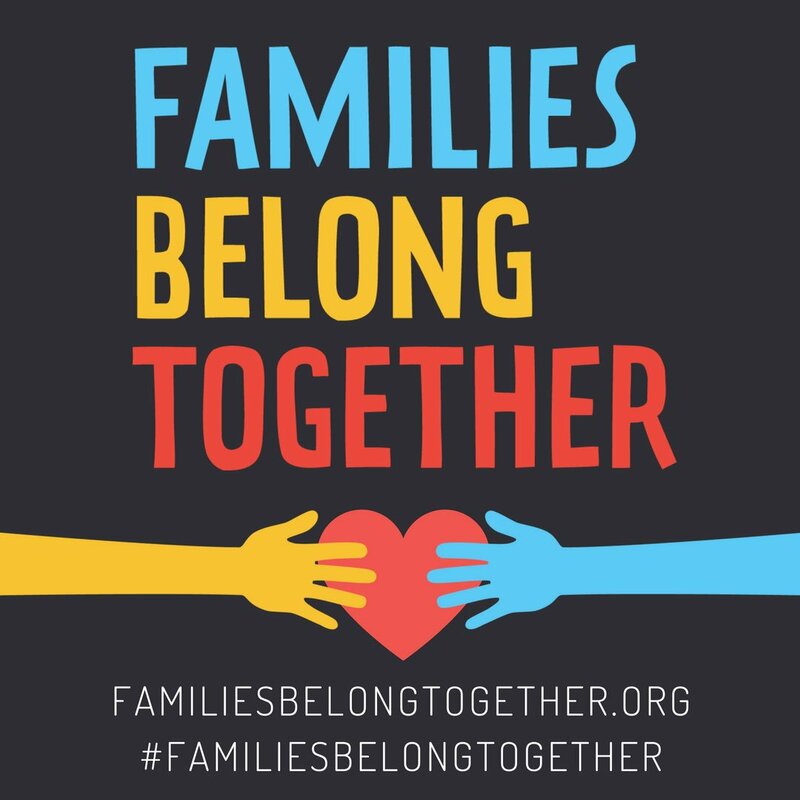 Sign and Share: Join the petition to #EndFamilySeparation and spread the word via social media. Victory at Volunteers of America! 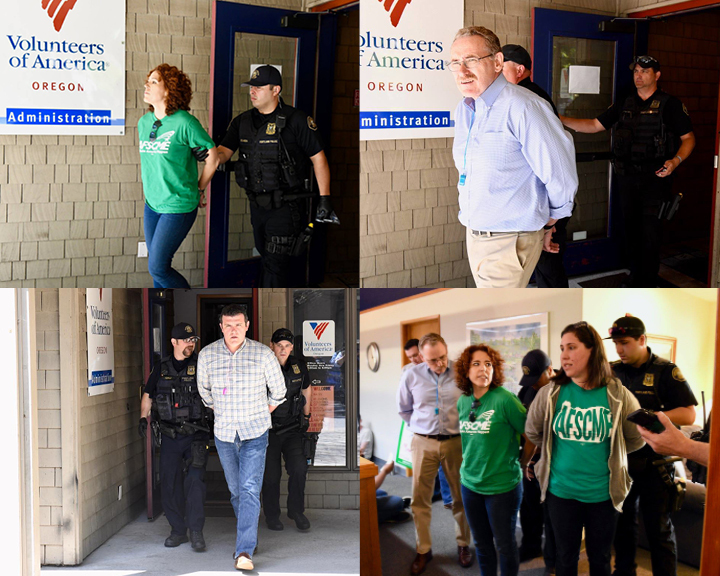 Last week, Oregon’s U.S. Senators Jeff Merkley and Ron Wyden joined their colleagues in the Senate and House to introduce the Workers’ Freedom to Negotiate Act, legislation that would strengthen workers’ freedom to join unions and negotiate collectively to win better pay and conditions; stiffen penalties on corporations; protect workers’ right to strike; streamline procedures to secure worker freedoms; and protect the integrity of union elections. The legislation is part of the Democrats’ economic agenda, “A Better Deal.” As the income inequality gap reaches the highest levels since the Great Depression, many middle class families are finding it increasingly difficult to achieve basic economic security. The Democrats’ legislation helps address rising inequality and related challenges in obtaining a quality education, safe housing, sustainable work, and a secure retirement. The Better Deal legislation comes as the Trump administration and Republican leadership continue their efforts to maximize corporate profits through their tax giveaway to the richest few and largest corporations and the rollback of crucial labor rights designed to protect the American worker. For years, Oregonians have been kept in the dark about exactly how much corporations pay in taxes as our corporate tax rate has dropped to among the lowest in the nation. With your help, we can change that. Join us in Portland, Bend and Ashland on June 23 (and Medford on June 21) to gather signatures to put Initiative Petition 25 onto the November ballot. What is IP 25? IP 25 requires publicly traded corporations to provide voters and lawmakers a public record of their Oregon taxes. This is a critical step toward making Oregon’s tax system fair and for us to be able to properly fund our education, healthcare, infrastructure improvements and other vital services that working people depend on. Training begins at 8:30 a.m. Older PostTentative Agreement at Volunteers of America!